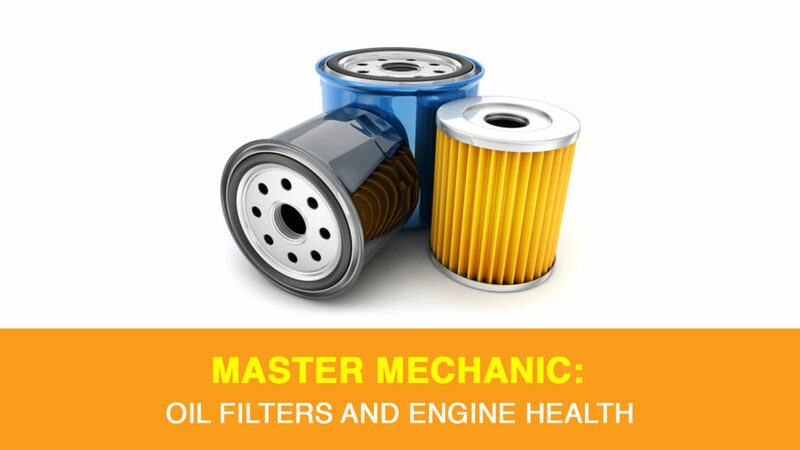 Any Master Mechanic will tell you that your oil filter is one of the most essential components of your vehicle. Most drivers understand it’s best to use high-quality motor oil in their vehicle, but many don’t know that it’s equally important to use a high-quality oil filter. Why? The life of your engine can quickly be compromised if you don’t change the oil frequently enough or if you use a motor oil of lesser quality. This is also true for the quality of oil filter that you use. We caught up with a Master Mechanic to find out all about oil filters. Your engine requires constant lubrication; this is vital to the life of your vehicle. Oil filters play a crucial role in protecting your engine from premature wear by removing contaminants from the oil. Without clean motor oil, small dirt particles will get caught between rotating surfaces and engine wear will be greatly accelerated. Whenever you’re looking at oil filters, remember this: trying to save a few bucks could end up costing you thousands in engine repairs. There are a ton of options when it comes to oil filters, and they vary from brand to brand. It’s always important to use high-quality filters that specifically fit the year, make and model of your vehicle. The gasket material, anti-drain-back valve material, spring type, media material, number of pleats (directly related to how much filter material is in the filter) and end-cap material can all differ depending on the oil filter you choose. So, how do you pick? Always follow the manufacturer’s recommendations when choosing your oil filter. Oil filters are application specific, so ensuring you have the correct one is extremely important. To further confuse matters the threads used to mount oil filters can be similar but different. This can lead to an improper filter being installed causing leaks and major engine damage. You won’t get better filtration by substituting a larger filter for a smaller one, even if it fits the threads on your engine. At Master Mechanic, we’re more than happy to help you figure out which oil filter is best for your vehicle. We can also help you better understand the efficiency rating that appears on the oil filter box and what this means for day-to-day driving. Filter efficiency refers to a measure of a filter’s ability to collect and retain particles of a specific size. The efficiency rating is a measure of the percentage of ~20-micron dirt particles that the filter can capture over a certain duration of time. On the outside of your oil filter is a metal housing with a sealing gasket that sits firmly against the engine’s mating surface. The base plate of the can holds the gasket and has perforated holes around the area just inside the gasket. Your engine’s oil pump moves oil directly to the oil filter, where it enters from the holes in the perimeter of the base plate. There is a central threaded hole that mates the oil filter assembly on the engine block. The actual filter itself is most frequently made from a synthetic fibre material. The dirty oil is passed (pushed under pressure) through the filter media and back through the central hole, where it re-enters the engine. If you regularly drive towing heavy loads, in extreme weather conditions or in stop-and-go traffic, it’s a good idea to change your oil and filter more frequently. Ask your local Master Mechanic about the best oil and filter change schedule for your vehicle based on your driving habits. We’re here to help!